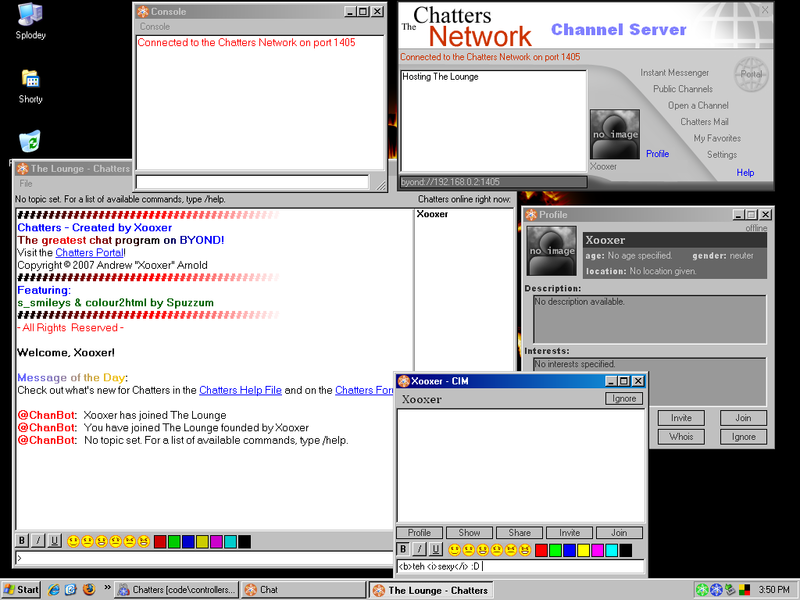 The Channel Server is an open-source project. 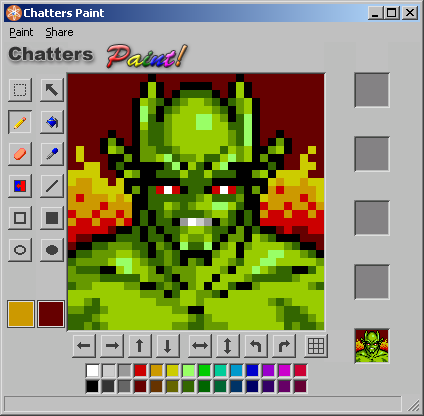 Discussions about Chatters have been closed. If you wish to protest your ban from a particular channel, contact that channel's founder or ops. If you've been banned from a channel, you're *not* banned from Chatters. If you don't like the class of people who hang out in the public channels, you are encouraged to host your own Channel Server. What happened to the server though?